"A trail of rugged & brutal beauty where everything cuts, stings, or bites." I've proven in the past to be a bit of the suggestible type. Particularly where racing is concerned. And as more and more races start to look enticing, I've found it harder and harder to say no. A few years ago, even with several 50 milers under my belt, I had no real desire to tackle the 100-mile distance. Yet within the last eighteen months, as I've immersed myself deeper into the ultra world, I've become fixated (like everyone else, it seems) on getting to the starting line in Squaw Valley. And while most rational people think this is as stupid as it probably is, I've been spending more time training with less rational people. Which is probably why it seemed like I had to get my WS lottery qualifier immediately. And why when Phil told me he was registering for Bandera last fall, the only decision I had to make was whether I was going to join him there or wait a month to run Rocky Raccoon. The last one wasn't even really a goal; it would require me basically running out of my head for nine hours without any consequences and would also require a lot of folks in an elite field not having particularly good days. None of which seemed to be in my control. We lined up for the start on a clear, cool morning among a national-class field that included four men from the GUR top 50. For a sub-elite runner such as myself, running against a field that is out of my league can make things a little easier; it frees me up from having to think about racing for places, especially early in the race, and allows me to focus on running my own pace and sticking with a race strategy. That strategy was to run the first lap with as little effort as possible--really, the first 40 miles, if I could manage to be patient enough. Bandera trail, where everything cuts and stings. The Bandera course starts with the toughest running in the first five miles, which played into my strategy perfectly, making it very easy to back off, walking the big climbs, running the downhills as relaxed as possible. I ran the opening mile at the back of the lead pack of twenty or so, letting them go without a fight pretty quickly and falling in after about a mile with Chad Lasater, another runner in my age group. Chad is a native Oklahoman who currently lives in Dubai, and has had alot of interesting running experiences at many of the classic trail races throughout Europe, so the early miles passed quickly as we fell into a nice rhythm. I led most of the way with Chad just behind; we passed through AS1, about 9K in, right around 9:00/mile pace. From AS1 through AS3 was about 11 miles of basically flat, runnable trail, with some small steady climbs. The millions of rocks that litter the Bandera course were a bit less dense in these sections, and it was easy to find a nice rhythm running between 8:00-8:30 pace. I was careful to keep the effort in check, reminding myself to slow down every time I felt my breathing get even a little heavy or my legs take on a little fatigue. Despite the relative ease of effort, though, we were making good progress, and caught two or three runners before we reached AS3. Chad stopped at this point to restock his supplies from his drop bag, while I continued on, using my Orange Mud handheld and taking in about a GU an hour. By now we had caught up with many of the 25K runners and I made my way through the back end of that field, still keeping the effort level in check, coming through 11 miles in 1:33, 16.9 miles in 2:21, and 21.8 miles in 3:05. The four-mile section from AS4 to AS5 was almost completely runnable save for one giant climb and descent at the end; I ran that in a very relaxed 35 minutes and passed AS5 (26 miles) at 3:40, still feeling very smooth. The last 5 miles of the loop mirrored the first five, with several large climbs and descents over the rockiest sections of the course, but I kept up a relaxed tempo and focused on walking the uphills efficiently and descending with minimal effort; I passed two more runners before I reached halfway in 4:26. On the short out-and-back section leading in and out of the start/finish area, I counted about five runners, including women's leaders Cassie Scallon and Michelle Yates, within six or seven minutes in front of me. Trying to read facial expressions is tough, but I convinced myself that I felt better than they all looked (with the exception of Cassie, who looked locked in), and after a brief 2-minute stop to refill my bottle, pound some Coke, and eat a slice of bacon (my first stop in an aid station on the day), I headed back out for loop 2 eager to make up some ground. Judging from splits in previous years, most runners, even the leaders, demonstrated a significant slowdown on lap two, as the climbs and rocks started to extract their toll. I knew that losing even two minutes per mile might not cost me any spots, and that if I could limit the damage to less than that, there might be a few people I could pick off. And I felt good; tired, but I clearly hadn't overextended myself early. Sub-9 was not going to happen, but I felt quite confident I could run a 5:30 second lap and come in under 10 hours. I forced myself to stay patient, particularly early in the loop, and made my way cautiously through the first 5+ miles to AS7. The split here was just under 1 minute/mile slower than on lap one, and I caught two runners, including Michelle. I was assuming at this point that I was around 15th place, but the folks at the aid station thought I might be in the top 10. I told myself they were crazy and pressed on. Miles 36-42 were very runnable, but I tried to still keep the effort under control. I was starting to fatigue a little bit, but by pushing the salt tablets and taking an extra gel, I kept that at bay. I wanted to have as much left as possible for the final twenty miles, when I'd be entering unchartered territory for me, having never gone past 50 miles before. Even so, I managed one more pass before reaching AS8, 42 miles in 6:11 (about 1:44 for the second loop, almost exactly 1 minute/mile slower than lap 1). Stopped at the aid station was Kory Cool, a young elite from Kansas with a 3:05 50K to his credit. He looked like he was getting ready to drop, but confirmed I was up to eighth place overall. The next stretch to AS9 continued to be very runnable, and finally I felt comfortable letting myself get a little more aggressive. I knew the section between AS9-10 would require a good bit of hiking and would allow myself a bit of time to recover, so I opened up a little bit; the 5.9 miles which had taken me 48 minutes the first time through took me about 54 minutes this time (again, keeping it right at 1 minute/mile difference), and I caught another runner leaving AS9 on a flat stretch leading up to the biggest climb of that section. Somewhere in that stretch I passed the 50-mile mark in around 7:24, making this not only my longest run ever but also setting a 50-mile PR by over 5 minutes. AS9 and 10 are the same spot, and as I stopped at AS10 to grab my headlamp for the final stretch, Phil was in AS9, looking pretty good. We chatted very briefly before I struck out again for the final 9-mile push. Once I found my rhythm I let loose; the next four miles were the last runnable four miles on the course; there was nothing left to save in the tank now. And somehow I still felt great. Tired, but strong; I mowed down the miles to AS11 in 37 minutes, reaching the 57-mile mark in 8:34 and knowing that sub-9:30 was in reach. The last five miles were a bit of a slog--once I passed the 9:00 mark, I was really ready to be done--but I kept up a 10:00/mile pace, finishing lap 2 in 4:57 (again, almost exactly 1 minute/mile slower than lap 1) for a sixth-place finish (fifth male, second master) in 9:23. A very happy, very blurry Phil, who had a great race to finish in 10:38. This is the only picture I took all weekend. Training. I've been fortunate enough to have had nearly 18 months of virtually uninterrupted training, with my only injury of significance in the past year being the freak back injury I had in July while tripping in the ocean. I ran 4317 miles in 2015, second-most in my career. Over the final ten weeks of the year, before my two-week taper, I ran nearly 1000 miles, recovery weeks included. But beyond just the mileage was the amount of quality work I was able to put in: track intervals ranging from 400m repeats to ladders and miles; a couple of tempo sessions; four marathon-pace runs; and several long runs in the 33-40 mile range. In terms of depth and breadth, it was the best sustained training block I'd had in years. I supplemented that with some very light core work: just a short routine that takes 10-15 minutes of pushups, sit-ups, planks, side crunches, and various stretches, which I try to do at least five days a week. Regular short sessions on the foam roller--generally daily, if I could remember--were instrumental in recovering between workouts and keeping me injury-free. Diet. I don't want to harp on this, and I don't want to give this too much credit. As I've stated before, the science on LCHF is inconclusive at best. And I don't want to proselytize--nothing is worse than having someone tell you what you should or shouldn't be eating. Anecdotally, though, for me, I've certainly seen significant benefits from whatever bastardized version of LCHF/OFM I've been adhering to for most of the past year. Much of this is likely due to just simple weight control; but I've found the benefit in energy level and expenditure during long efforts to be profound. I ran 9+ hours at 9:00/mile pace without a hint of a bonk and without any GI issues. My intake for the entire race consisted of somewhere between 6-8 GUs, half a banana, half a PBJ, a couple of M&Ms, and two strips of bacon. (I used GU Brew for fluids--probably filling my 16-oz bottle four or five times--and pounded Coke at every aid station in loop 2.) It's not the reason things went well, but it certainly helped. Strategy. There's something to be said for having a plan and sticking to it, and forcing myself to hold back over the first 35-40 miles proved to be a winning plan for me. 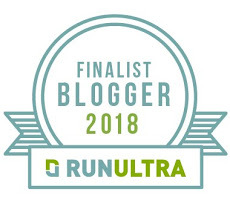 I'm constantly learning how to run ultras better, and I've found--surprise!--that running within myself in the early stages has lead to the most success for me; almost every bad race I've had in the past several years can be tied to going out too hard. As I mentioned earlier, this can be a lot easier when you're in a sub-elite or recreational position, rather than being an elite athlete who has to concern themselves not only with their own tactics but with those of everyone else around them. As it turned out, I wasn't far off of grabbing a Golden Ticket, but pre-race that was a pipe dream. If I'd started the race as a serious contender for a podium spot, would I have been able to lay back early and let the leaders build a 30 minute lead over the first 50K? Patience is a lot easier when you don't have anything on the line. The Curse of the Elite is that the margin for error is much smaller; they have to take risks the rest of us don't. Last weekend, for Chris Dennucci and Jim Walmsley, it worked out. For Kory Cool and Mario Mendoza, it didn't. Not having to concern myself early on with what they were doing allowed me to pick up some of the pieces later on when things went sideways. It lowers the potential variability--you won't win with that strategy, but it might give you the best odds of maximizing your individual performance. All in all this was a great start to 2016 and a great introduction to the world of longer races, which I may have developed an appetite for. The good folks at Tejas Trails put on a fantastic event, and I look forward to returning to Texas next year for Rocky Raccoon (don't tell my wife). Next up are two more national championships: road 50K at Caumsett Park in March, then trail 50 mile at Cayuga in June. The second half of the year is still up in the air, but may include some longer stuff as well. For now, I'm enjoying a few days of carbs and beer, and a few weeks of being just an ultra fan before I start buckling down again. Quick gear recap: MPF/RNR racing kit from Patagonia; compression socks from SLS3; Orange Mud trucker cap (and lightweight OM/Headsweats cap that I grabbed for lap 2, when it got a little warmer) and handheld; inov-8 Roclite 280 shoes; GU Roctane and GU Brew. Newer PostRace Report: Caumsett 50K--"Too Short?"